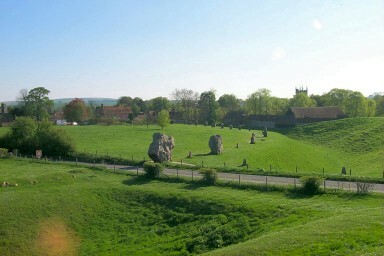 Avebury with it's circle of standing stones is less well known than Stonehenge but nevertheless a fascinating place. 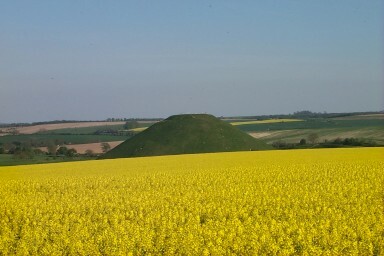 It also has several advantages: As it is less well known it attracts less visitors, meaning it is not as crowded as Stonehenge can sometimes be. 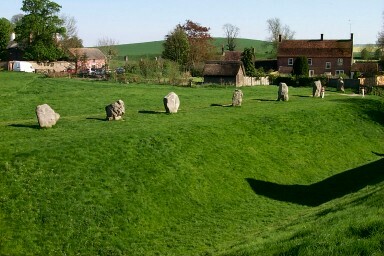 While you are kept away from the stones in Stonehenge you can walk right next to them in Avebury (apart from a very few who are in danger of falling). 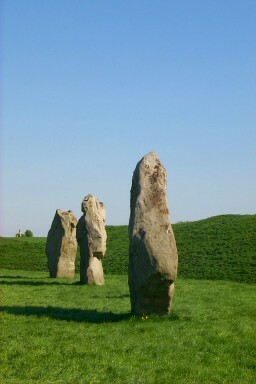 On the left three well preserved stones of the stone circle. 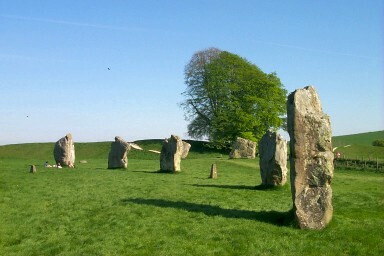 Unfortunately a lot of the stones have been lost over the centuries. 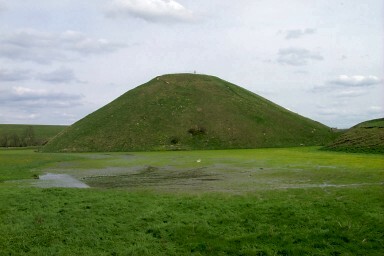 Several of them have been broken up and been used in the houses of the village, until the importance of the monument was recognised and this practice stopped. 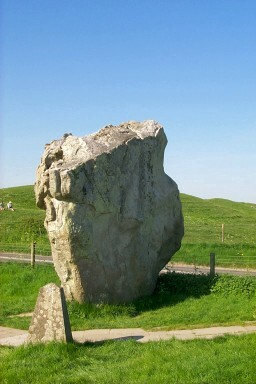 To the right one of the largest remaining stones. I estimate it to be around 15 ft / 5 metres high. 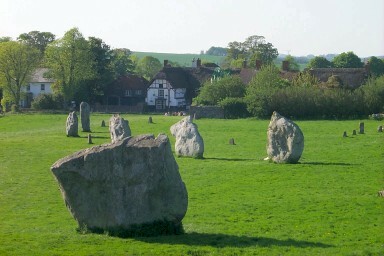 Below in the centre of the picture the Red Lion, probably the only pub in the world in the middle of a stone circle. For food a lot of people also recommend The Circle Restaurant, a vegetarian restaurant just outside the circle in the village.